These lovely chaps have a row of crystals up the side to show your style. 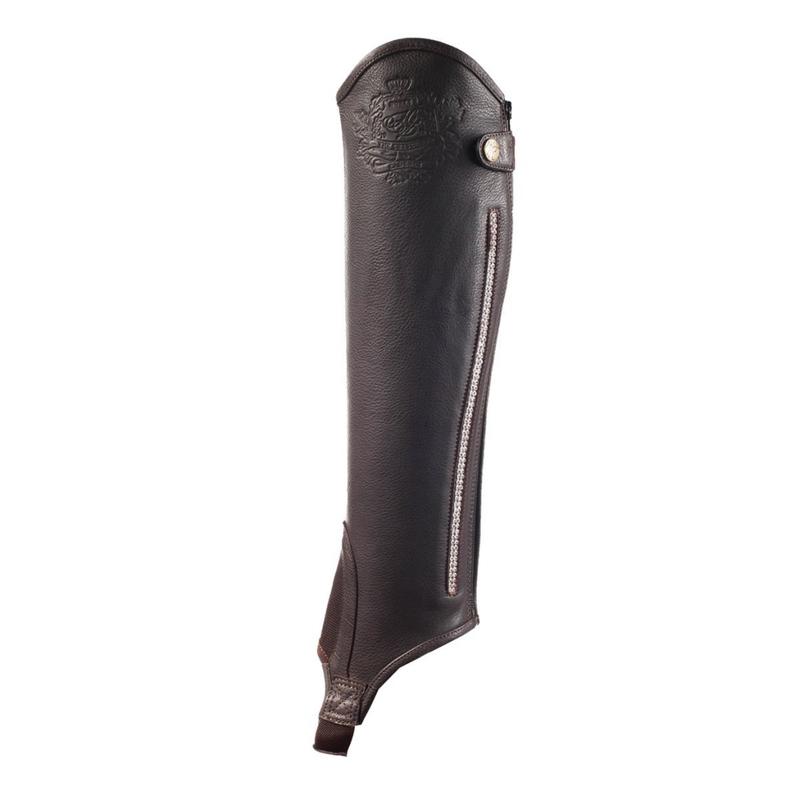 These high-quality leather chaps are beautifully made with a row of crystals going up on the outside of the leg. The soft, durable leather has an added panel of elastic for a perfect fit. 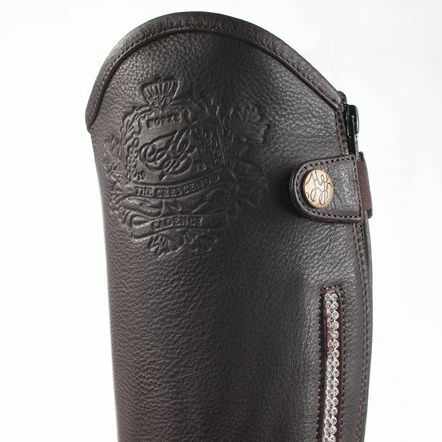 The Horze Crescendo logo is engraved on the chaps which will pair nicely with the rest of the elegant collection.